You are invited to join Pointwise, Inc. for a Let's Talk Meshing Workshop in Dallas, Texas on 21 June of this year. Pointwise, Inc. is all about meshing. When the company started out 20 years ago, we felt there were huge improvements to be made in the process of transforming a CAD model or any other form of geometry into something suitable for computational fluid dynamics (CFD) analysis. At that time, meshing was a huge bottleneck in the CFD analysis process, and engineers would spend up to 80 percent of their time on a project just making the mesh. We focus on making those meshing process improvements by constantly enhancing our Pointwise meshing software, working closely with our customers to help them get the most out of that software, investing in research and development into new meshing techniques, generating ever bigger and more complex meshes ourselves, and by being good members of the technical community. In addition to publishing technical papers, participating in benchmark workshops and serving on technical committees, Let's Talk Meshing is one of our approaches to being good members of the technical community. Let's Talk Meshing is a series of interactive events where we present something of technical interest and then answer questions and field comments from participants. Past events have included last month's Land-Speed Record Attempt Uses High-Fidelity, High-Speed CFD hosted in conjunction with TotalSim and videos like the handy Introduction to Scripting in Pointwise. 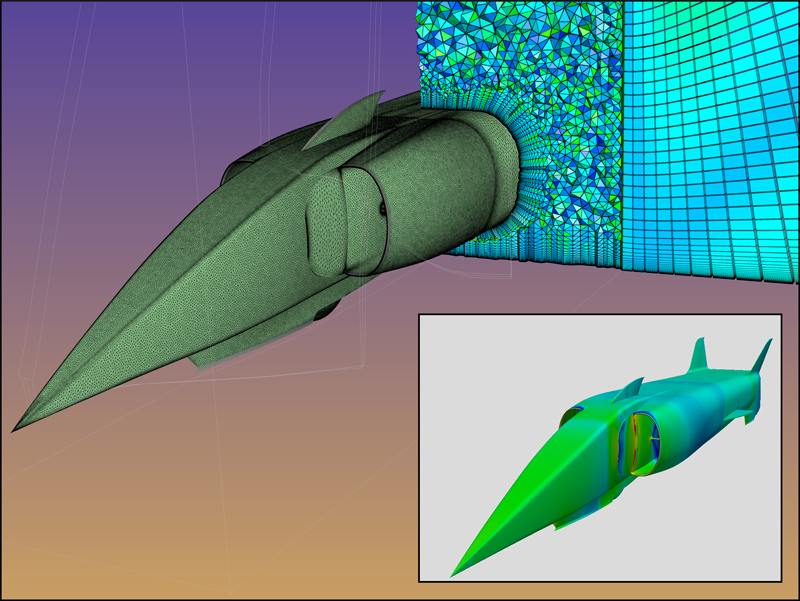 Figure 1: This grid and solution for a land speed record attempt vehicle are from the webinar Land Speed Record Attempt Uses High-Fidelity, High-Speed CFD. Visualized with CFD++. During the webinars, we allow time for an interactive question and answer period, and we always get great questions from the participants. The question and answer period is included in our recordings of webinars, so you can watch the presentations and hear the types of questions others had about the subject being presented. Videos are posted online and then our engineers answer questions submitted through email and Twitter during a designated time period. 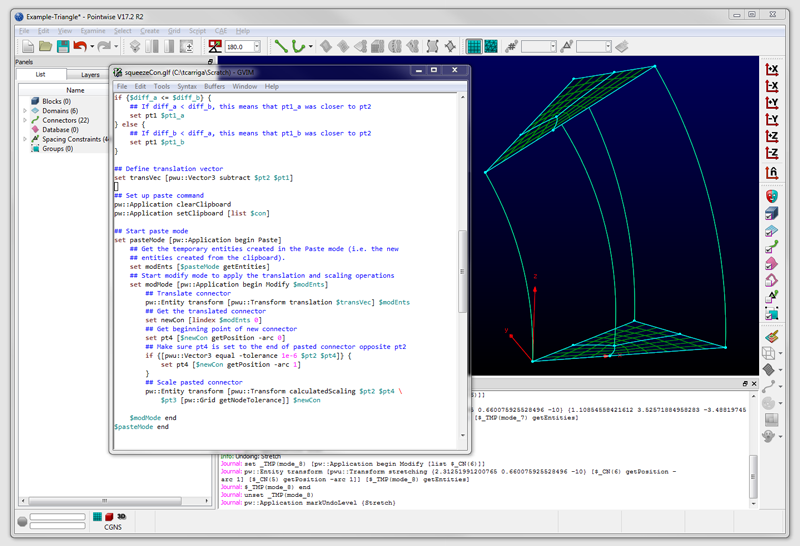 Figure 2: Our Introduction to Scripting in Pointwise video gives tips on getting started with Glyph scripting. On 21 June, we will host our first in-person Let's Talk Meshing Workshop. That day is a Sunday, and it is the day before the AIAA Aviation 2015 Forum begins in Dallas. The workshop will include training on Pointwise's new overset grid assembly capabilities and other recently added features, a guide to quickly getting started with scripting in Pointwise, and a discussion about our future product development plans. It will be a full day, and it will be packed with detailed information to help you mesh more efficiently. Everyone is welcome. We just ask that you register ahead of time so we know you are coming. 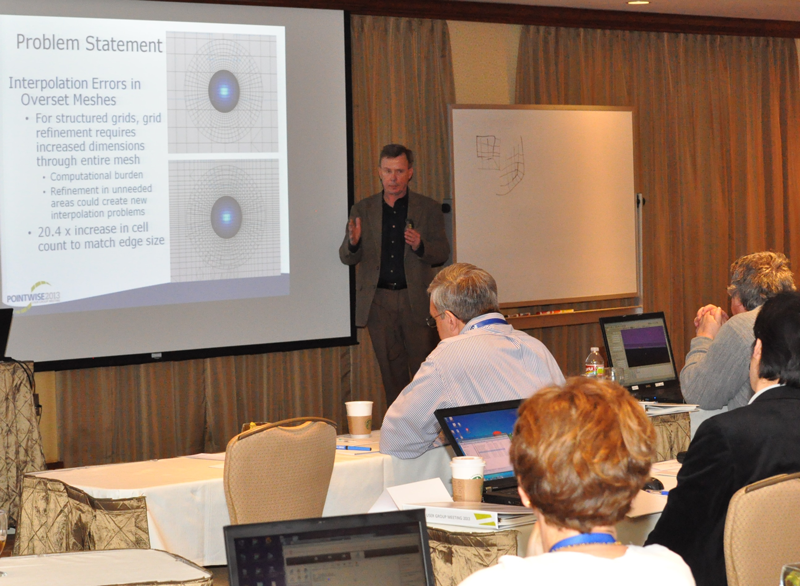 Figure 3: Pointwise's Dr. John Steinbrenner discussed meshing concepts at a previous user meeting. There are also two technical presentations that week that feature Pointwise. Pointwise Vice President of Research & Development, John Steinbrenner, will discuss some of the details behind the implementation of our T-Rex (anisotropic tetrahedral extrusion) technique in his Monday morning talk, Construction of Prism and Hex Layers from Anisotropic Tetrahedra. If you want to see how those tetrahedra get assembled into prism and hexahedral cells, this is your chance to find out. Some Pointwise grids are used for the Thursday afternoon presentation, Aeroacoustic Simulations of a Nose Landing Gear using FUN3D on Pointwise Unstructured Grids, by Veer Vatsa, Mehdi Khorrami and David Lockard from NASA Langley and John Rhoads from Lockheed Martin (and previously at Pointwise). You can find more information about all these events on our website. Look for more Let's Talk Meshing events coming in the future. We will do our best to make each of these events useful for you, with substantial technical content and the chance to ask questions and get the information you need. When Pointwise was formed, we knew there many meshing challenges that needed to be addressed. We have been working diligently on those obstacles and have overcome many of them. However, as each problem is solved it uncovers new problems and difficulties, so it seems there are just as many challenges today as there were 20 years ago. Yesteryear's million cell challenge has been replaced by today's billion cell problem. The difficulties we used to face in dealing with any sort of realistic geometry are now the problem of deciding just how much of the minute detail is really important to include for understanding the problem at hand. 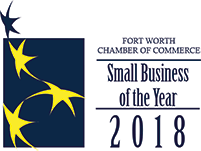 Come and Join Us in Dallas! It does not look like we will run out of meshing problems to work on anytime soon. We will continue to work on improving the state of the meshing art, and periodically we will invite you to see where we are, ask us questions, and give us feedback on how we are doing and where we need to focus our efforts. That is Let's Talk Meshing. Don't forget to sign up for the workshop!